Sometimes needing a loan is unavoidable. What about a new car or home improvements? It pays to check different loan options available and calculate just how much you’ll have to repay. 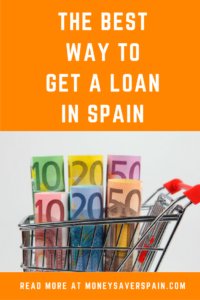 Take a look at our guide on 8 ways to get a loan in Spain and their safety ratings. 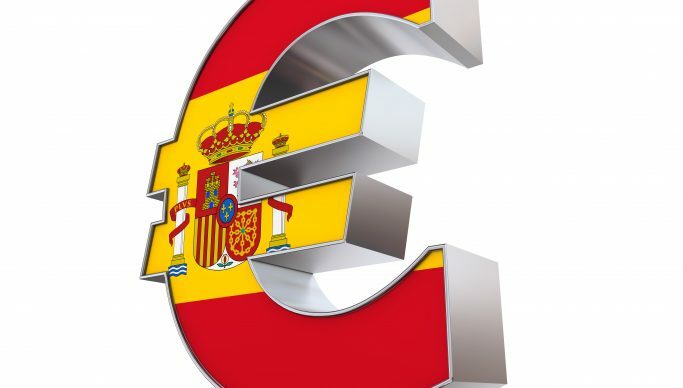 By law, all loan adverts and contracts in Spain must show both the TIN (nominal interest rate) and the TAE (equivalent annual rate). The latter includes ALL CHARGES and that’s the figure you should be looking for. If a bank or other entity offers a personal loan with a 0% interest, you’d probably think that sounds great, right? But always check the website or leaflet and ensure that both TIN and TAE rates are 0%. Arrangement fees, commission and other hidden extras are shown in the TAE rate. Media Markt, El Corte Ingles and Worten are some of the big names that offer 0% interest to entice you to buy. Sometimes the TAE rate really is 0%, just make sure you take two minutes to read the small print. Many companies in Spain will allow you to request an advance on your salary interest-free. Depending on how long you’ve worked for the company, and their loan policy, you may be able to ask for several months’ salary upfront. Not necessarily your own bank, although this is the best place to ask first. If you have a salary or pension regularly paid in then you’ll usually get a better interest rate. Don’t be swayed by any freebies, such as TVs or tablets offered with loans. These will always be factored in to the TAE rate (see “Basics” above). Visit comparison sites such as Help My Cash or Kelisto for current rates from different banks. Family, friends and fools. Loans from friends can be free, but can also lead to trouble. It’s usually a good idea to draw up a simple contract, even if no interest is to be repaid it shows that you’re serious about repayments. For lower amounts you may decide it’s easier to use your free credit card (of course you’re not paying an annual fee – see our article!) and pay back in instalments. Just make sure you do your calculations first to see how much you’d repay in total. Companies such as Cetelem or Cofidis will make personal loans with annual interest rates from 7% to 20% (over double an average bank loan rate). These two companies are normally used by retailers in Spain if you finance a purchase and shouldn’t be confused with microcredit companies. Although not mainstream they do offer an alternative way to get a loan. Check your best options via HelpMyCash, check the small print and remember they are more expensive than a bank loan. Wonga, Vivus, OKMoney, and lots more – AVOID. In fact to make it easier we haven’t even bothered to include links to their websites. With interest rates of 1000%+ they’re not worth looking at. Several websites have appeared during the recession where you can get a loan if you pawn your car. If you’re really interested in finding one, just Google “empeñar coche en España” but be warned!